I would venture that the benefits of an excellent education are among the few constants in this century of change and challenge. And at Pepperdine University, I feel confident in asserting that the benefit of a faith-inspired education, one which affirms the importance of quality, student-centered teaching and the value of your own spiritual journey, will prepare you abundantly for the career and life to which you aspire. Pepperdine has a glorious history and a founder who believed not just in the young people who arrived and enrolled in 1937 in South Los Angeles, but in you. Beyond our 7,400 students in five colleges, our community embraces nearly 100,000 alumni around the globe, international campuses that will transform your life and worldview in the course of a semester or academic year, national-championship athletics, and a heart for service that beats devotedly on six continents through selfless acts and helping hands. As you consider the part you will play in society and the career you hope to pursue, weigh carefully your college choice and the investment a university like Pepperdine is determined to make in you. It is our responsibility to afford you every opportunity to master the skills of critical thinking and discover your calling, with access to faculty-distinguished in their disciplines and professions-in an environment that is equipped for learning; indeed, one that is enabling, nurturing, and safe. Welcome to Pepperdine, a distinctively different university. We pledge to prepare you well for a life of purpose, service, and leadership, if you will let us. Welcome to Pepperdine Graziadio School of Business and Management! Since 1969 Pepperdine Graziadio has established itself as a preeminent business school with an impressive global alumni community, more than 40,000 strong. We are known for training students to be change-makers and influencers in their respective spheres by creating a curriculum and a culture that is entrepreneurial in spirit, ethical in focus, and global in orientation. Pepperdine University is an independent, medium-sized university enrolling approximately 7,400 students in five colleges and schools. 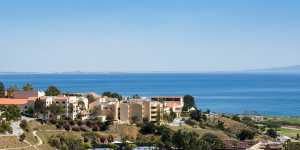 Seaver College, the School of Law, the Graduate School of Education and Psychology, the Graziadio School of Business and Management, and the School of Public Policy are located on the University’s 830-acre campus overlooking the Pacific Ocean in Malibu. Courses are taught in Malibu, at four graduate campuses in Southern California, and at international campuses in Germany, England, Italy, Argentina, Switzerland, and China. The University was founded in 1937 by Mr. George Pepperdine, a Christian businessman who started the Western Auto Supply Company. For the first 30 years of its life, the institution was a small, mostly undergraduate college. University status was achieved in 1970 as the institution added graduate and professional schools. In 1972 the University opened its new campus at Malibu. Pepperdine University is religiously affiliated with Churches of Christ, of which Mr. Pepperdine was a lifelong member. Faculty, administrators, and members of the Board of Regents represent many religious backgrounds, and students of all races and faiths are welcomed. It is the purpose of Pepperdine University to pursue the very highest academic standards within a context that celebrates and extends the spiritual and ethical ideals of the Christian faith. Seaver College is the University’s residential college of letters, arts, and sciences, enrolling approximately 3,400 undergraduate and graduate students who are expected to maintain the highest standards of academic excellence and personal conduct. An interdisciplinary curriculum requires each student to develop as a broadly educated person. Seaver College offers 45 bachelor’s degrees, eight master’s degrees, and one post-baccalaureate certificate program in diverse fields of study. The George L. Graziadio School of Business and Management is one of the nation’s largest graduate business schools accredited by the Association to Advance Collegiate Schools of Business (AACSB International) and enrolls approximately 2,100 students in its full- and part-time programs. General Information 13 Founded in 1969, the school is named for its benefactor, the late co-founder, chair, and chief executive officer of Imperial Bancorp, George L. Graziadio. Its mission is to develop values-centered leaders and advance responsible business practice. Degree programs offered by the Graziadio School include the master of business administration (MBA) for full-time students, working professionals, and high-level executives; the international master of business administration (IMBA); the master of science in organization development (MSOD); the master of science in management and leadership (MSML); the master of science in global business (MSGB); the master of science in applied finance (MSAF); the master of science in human resources (MSHR); the master of science in applied analytics (MSAA); the master of science in real estate investment and finance (MSREIF); and the undergraduate bachelor of science in management (BSM). Special programs include a joint BSM and MBA program, joint degrees with Pepperdine University’s School of Law (JD/MBA), School of Public Policy (MBA/MPP), and Seaver College (BS/MBA, BS/IMBA), and certificate executive education programs that can be customized to meet an organization’s specific learning needs. Degree programs are offered at the Graziadio School’s headquarters located at the West Los Angeles Graduate Campus; the Drescher Graduate Campus in Malibu; and additional campuses located throughout Southern California including Encino, Irvine, Santa Barbara, and Westlake Village. The Executive MBA program also is available at the Silicon Valley campus. The School of Public Policy (SPP) enrolls approximately 60 students and offers its Master of Public Policy (MPP) degree built on a distinctive philosophy of nurturing leaders to use the tools of analysis and policy design to effect successful implementation and real change. This requires critical insights balanced with personal moral certainties that only a broad exposure to great ideas, courageous thinkers, and extraordinary leaders can encourage. It prepares graduates for careers as leaders and seeks also to strengthen the institutions that lie between the federal government and the individual, including the family, religious 14 General Information organizations, volunteer associations, local and regional government, and non-profit organizations. Joint degree programs include the MPP/JD degree and the MPP/MDR degree in conjunction with the School of Law and the MPP/MBA degree in conjunction with the Graziadio School of Business and Management. The Davenport Institute for Public Engagement and Civic Leadership educates, researches, and promotes to current and future public leaders the engagement of the greater public in making crucial local policy decisions. Along with current students, the institute works outside the classroom, training current municipal and civic leaders through regional seminars in skills development on issues ranging from participatory budgeting to planning. The School of Law provides an excellent legal education within a values-centered context. It has an enrollment of approximately 600 juris doctor students. Special programs include the acclaimed Straus Institute for Dispute Resolution, the Parris Institute for Professional Formation, the Palmer Center for Entrepreneurship and the Law, the Nootbaar Institute on Law, Religion, and Ethics, and numerous clinical education offerings. The Global Justice Program and unique Preceptor Program contribute to the law school’s distinctive approach to legal education. Approved by the American Bar Association and holding membership in the Association of American Law Schools and the Order of the Coif, the School of Law attracts students from around the nation. Pepperdine University is a Christian university committed to the highest standards of academic excellence and Christian values. Members of the Pepperdine University community-faculty, staff, students, administrators, members of the Board of Regents, members of the University’s advisory boards, and volunteers-are responsible for maintaining the standards of the institution and of the various communities in which they live. We value integrity, honesty, and fairness and strive to integrate these values into our daily practices. Our ethical expectations are found in Holy Scripture, the University Mission Statement, the founding vision of George Pepperdine, and the University Affirmation Statement. Holy Scripture provides the ultimate source for our ethical standards, including the two great commands taught by Jesus: the duty to love God and love one’s neighbor as one’s self (Matthew 22:37-40). In this spirit, we commit ourselves to the highest standards of ethical conduct. We act with integrity, we treat others with respect and dignity, we carefully steward the University’s resources, we avoid conflicts of interest or commitment, we maintain confidentiality, and we comply with legal and professional obligations. We are individually accountable for our own actions, and we are collectively accountable for upholding these standards of behavior and complying with all applicable laws, policies, standards, and regulations. While human and therefore fallible, we constantly strive to meet our ethical expectations. Moreover, because the Pepperdine community is composed of many distinct constituencies, we understand that, beyond the general ethical principles outlined in this document, we may be subject to additional rules of conduct specific to our respective roles within the community. We seek to be people who are honorable, forthright, and upright at all times. Our commitment to integrity demands more than mere satisfaction of legal and ethical obligations, although we comply with the law and conform to the highest standards of ethical conduct. Our commitment to integrity means that we actively discern what is right from what is wrong, that what we do flows directly from who we are, that we seek consistency between our inner self and our outward conduct. We value people, we speak the truth, we have the courage of our convictions, and we keep our commitments. We do not condone any form of dishonesty-such as fraud, theft, cheating, or plagiarism-as described more specifically in student, faculty, and staff handbooks and policies. Members of the community are committed to principles of equality and fairness. We follow the profound truth found in the Golden Rule, “In everything do to others as you would have them do to you” (Matthew 7:12). We do not unlawfully discriminate on the basis of any status or condition protected by applicable federal or state law. Consistent with our affiliation with Churches of Christ and our faith heritage, we do seek to hire and promote persons who support the goals and mission of the University, including, but not limited to, those who are members of Churches of Christ. We respect the inherent worth of each member of the community. We do not engage in any forms of harassment of others. Those in positions of authority, including administrators, supervisors, faculty members, and student leaders, exercise their authority fairly and appropriately. Other expectations about how we treat others with respect and dignity can be found in University policies and in each school’s faculty and student handbooks. We are good stewards of the University resources entrusted to us, and we prepare accurate and clear reports about those resources. University resources are reserved for business purposes on behalf of the University. We exercise reasonable judgment in the use of University resources, acting with care and prudence. We do not use University resources for personal gain. We prepare correct and clear financial records and research reports. All entries in University books and accounts accurately reflect each transaction. In reporting on the University’s resources, we do not hide, conceal, or mislead; and we promptly report such misconduct when it is discovered. We do not have direct or indirect interests or commitments, financial or otherwise, which conflict with the proper discharge of our duties to the University. The primary professional allegiance of all full-time employees lies with Pepperdine University and the advancement of its mission. We do not solicit or accept any gift, service, or favor that might reasonably influence the discharge of our duties or that we know or should know is being offered with the intent to influence our official conduct. We do not accept other employment or engage in business or professional activities outside of the University when such work might reasonably cause real or apparent conflicts of interest or conflicts of commitment. We do not transact business in our official capacity with any business entity of which we are an officer, agent, or member or in which we own a substantial interest without the explicit prior knowledge and approval of the appropriate senior University officer. We disclose potential conflicts of interest to the appropriate supervisor or officer as soon as possible after we realize that a conflict may have arisen. Additional information is located in the University conflicts of interest policy. We observe and respect the confidentiality rights of all other members of the community, and this duty continues even after we are no longer affiliated with the University. This right of confidentiality applies to all academic, financial, health-related, personnel, or other non-public information protected either by law or by University policy. However, the right does not preclude the consensual release of information or the disclosure of information within the University when there is a legitimate need for its disclosure. E-mail or other uses of the University’s computers or computer network are for business purposes and are not presumed confidential. Additional information is located in the University’s Computer and Network Responsible Usage Policy. We comply with all state and federal laws and conform to the highest standards of professional conduct. We transact University business in compliance with all applicable laws, regulations, and University policies and procedures. We do not misrepresent our status or authority in our dealings with others. To the extent that we belong to professions that are governed by standards specific to the profession (such as attorneys, psychologists, or certified public accountants), we adhere to such professional standards. We conduct ourselves in accordance with professional principles for scholarly work, including upholding academic codes of conduct and professional standards for research. The mission of the Graziadio School of Business and Management is to develop values-centered leaders and advance responsible business practice through education that is entrepreneurial in spirit, ethical in focus, and global in orientation. As a professional school growing out of the tradition of a Christian university, we seek to positively impact both the society at large and the organizations and communities in which our students and graduates are members. Therefore, we affirm a higher purpose for business practice than the exclusive pursuit of shareholder wealth. We believe that successful management seeks collective good along with individual profit and is anchored in core values such as integrity, stewardship, courage, and compassion. Established in 1969, the Pepperdine University School of Business and Management was one of the first schools in the nation, and the only one in Southern California, to design business programs specifically to meet the education needs of mid-career professionals and executives. Pepperdine’s innovative model focuses on practical business application in small interactive classes offered in face-to-face, blended, and online formats. Over the course of its 46-year history, the business school has been shaped by its entrepreneurial heritage. George Pepperdine, who established the University, was a successful businessman who founded Western Auto Supply. 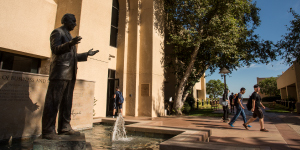 In 1996 Pepperdine’s business school was named the Graziadio School of Business and Management in honor of a generous endowment by entrepreneur and philanthropist George L. Graziadio, Jr., and his wife, Reva. The late Mr. Graziadio was the cofounder, chairman, and chief executive officer of Imperial Bancorp. Today the Graziadio School is one of the nation’s largest AACSB-accredited business schools and boasts an alumni network of almost 35,000 business professionals worldwide. It has expanded its programs to provide education customized for individuals at every stage of professional development. The school offers five Master of Business Administration curricula designed to complement the business experience of full-time students, fully employed professionals, and executives. Additional degree programs include the Master of Science in Accounting (MSA); the Master of Science in Applied Finance (MSAF); the Master of Science in Entrepreneurship (MSEN); the Master of Science in Global Business (MSGB); the Master of Science in Management and Leadership (MSML); the Master of Science in Organization Development (MSOD); the Master of Science in Human Resources (MSHR); and the Bachelor of Science in Management (BSM), which provides the upper-division courses to complete an undergraduate degree. Joint degree programs are offered with the School of Law, the School of Public Policy, and Seaver College; and certificate executive education programs also are available. The Graziadio School is accredited by AACSB International-The Association to Advance Collegiate Schools of Business, 777 South Harbour Island Boulevard, Suite 750, Tampa, FL 33602-5730, (813) 769-6500. Additionally, Pepperdine University is accredited by the WASC Senior College and University Commission, 985 Atlantic Avenue, Suite 100, Alameda, California 94501, (510) 748-9001. The Graziadio School focuses on the professional and personal development of business professionals, managers, and senior executives. The school’s programs prepare individuals for leadership positions in a wide variety of industrial, educational, nonprofit, and other service organizations. The school views leadership as being applicable at all levels of the organization that require management and stewardship of resources toward the accomplishment of stated objectives. Programs are organized from an integrated, interdisciplinary perspective. Individual courses emphasize themes of leadership, ethics, stewardship, entrepreneurship, globalization, and innovation. Teaching and learning methodologies include lectures, case analyses, group discussion and debate, simulation exercises, student presentations, role playing, guest speakers, applied research/consulting projects, critical analyses, and team projects. A high degree of active student participation is required. Success is contingent upon students’ competency in developing and practicing effective team skills. Objectives include (1) familiarizing students with fundamental principles drawn from relevant theories that offer practical insights and solutions for solving business and managerial problems; (2) developing proficiency in identifying and analyzing problems and relating appropriate theory to practical situations; (3) promoting attitudes and competencies of intellectual curiosity and encouraging lifelong learning beyond completion of the degree program; and (4) aiding students in recognizing and developing the initiative, imagination, creativity, ethics, values, and judgment needed to function effectively as leaders and managers in complex organizational and business situations. Knowledge of contemporary business theory and practice; management roles and responsibilities; legal, social, political, economic, technological, and other environmental systems; ethics in business; and organizations, information, behavior, and other subordinate systems. Personal and professional self-awareness and attitudes toward peers, team members, subordinates, associates, and superiors. Skills in problem solving, planning, decision making, and other management functions; initiating, implementing, and adapting to change; communicating, both orally and in writing; improving interpersonal relations; and achieving results. The Program Office serves as a main contact for students. From acceptance through graduation, Program Office personnel are available to provide counseling and assistance in all administrative and academic matters. Students on academic probation or restricted admission status may request, through their Program Office, special counseling by faculty members. In keeping with Pepperdine’s long-standing concern for students, Program Office representatives and faculty members make a concerted effort to be available at times convenient to students and to assist in answering questions and resolving problems connected with their course of study. Students are encouraged to call their Program Office or request a personal appointment whenever they have administrative or academic questions. Please visit the Program Office online for contact information. All graduates of Pepperdine University automatically become members of the Pepperdine University Alumni Association and Graziadio Alumni Network (GAN). Both groups promote communication and interaction among the University community of alumni, students, faculty, and staff. Benefits include access to the alumni online directory, e-mail forwarding, professional development, events, and various discount programs. Library benefits include access to particular online research databases, borrowing privileges, and in-person consulting. Volunteer opportunities are available to alumni through the Graziadio Alumni Relations Office in the areas of Alumni Council leadership, student and alumni job/internship identification, student recruitment, advancement, and engagement. In addition, the Graziadio Alumni Relations Office hosts several networking, professional, and career-related forums around the world throughout the year. These events help to advance alumni and the school and connect alumni with each other, faculty, and their local business community members and leaders. The Graziadio Alumni Network promotes networking, lifelong learning, and engagement with the University. For more information, visit the Alumni Relations website. Pepperdine University complies with the Americans with Disabilities Act, Section 504 of the Rehabilitation Act, and state and local regulations regarding students and applicants with disabilities. Pursuant to these laws, no qualified individual with a disability, or those regarded as having a disability, shall unlawfully be denied access to or participation in any services, programs, or activities of Pepperdine University. In carrying out this policy, we recognize that disabilities include mobility, sensory, health, psychological, and learning disabilities. It is our intent to provide reasonable accommodations to qualified individuals with disabilities. We are unable, however, to make accommodations that are unduly burdensome or that fundamentally alter the nature of the service, program, or activity. A. Major life activities: normal functions such as caring for one’s self, performing manual tasks, walking, seeing, hearing, speaking, breathing, eating, standing, bending, reading, concentrating, thinking, communicating, learning, and working. It also includes operation of major bodily function, such as the immune system, normal cell growth, digestive, bowel, bladder, brain, respiratory, circulatory, endocrine and reproductive functions. B. Physical impairment: any physiological disorder or condition, cosmetic disfigurement, or anatomical loss affecting one or more of the following body systems: neurological, musculoskeletal, special sense organs, respiratory and speech organs, cardiovascular, reproductive, digestive, genitourinary, hemic and lymphatic, skin and endocrine. C. Mental impairment: any mental or psychological disorder such as mental retardation, organic brain syndrome, emotional or mental illness, and specific learning disabilities. D. Learning disabilities: a generic term that refers to a heterogeneous group of disorders manifested by significant difficulties in the acquisition and use of listening, speaking, reading, writing, reasoning, or mathematical abilities. These disorders occur in persons of average to very superior intelligence and are presumed to be due to central nervous system dysfunction. The University will make admission decisions using criteria that do not consider an individual’s disability, but rather, the student’s individual qualifications, to meet the essential elements of the program, service, or activity being offered, assuming incorporation or use of the proper academic adjustment and/or auxiliary aids, if necessary. The University believes that this carries out the intent of the Americans with Disabilities Act and Section 504 of the Rehabilitation Act. Students with disabilities desiring to enroll in any program, service, or activity of Pepperdine University must be able to meet the minimal standards of both the University and the particular school, program, service or activity to which admission is sought. The University does not engage in any affirmative action programs for students with disabilities, nor does it consider a student’s disability in evaluating admission criteria. It is, of course, within the student’s discretion to inform the respective school’s Admissions Committee of a disability if they wish. If this choice is made, the University will not discriminate against the student on the basis of the disability and will make reasonable accommodations, when necessary. Students with disabilities may request accommodations at any time. However, the University must have time to review and approve the request before making accommodations. In addition, some accommodations take more time to provide than others. Therefore, students are encouraged to contact the DSO as soon as possible after they have filed their intent to enroll with the University. A staff member will assist the student in putting together a disability related documentation packet for review (see Guidelines for Disability Documentation) and will set up an intake interview for the student with the director in order to assess the student’s needs. The documentation should be sent to the DSO either by fax or regular mail as soon as possible before the student’s first semester of enrollment at Pepperdine. Students should not assume that the University knows any information about his or her disability because it was included it in the student’s application for admission. If the student does not have documentation, or if the documentation is insufficient, a DSO staff member can refer the student to an appropriate professional for evaluation. Students requesting accommodations must provide documentation from a qualified professional verifying their disability. The opinions and recommendations of a qualified professional will be considered in developing a suitable accommodation plan. A temporary impairment (e.g., a broken bone) is a disability only if its severity is such that it results in a substantial limitation of one or more major life activities for an extended period of time. Whether a temporary impairment is substantial enough to be a disability must be determined on a case-by-case basis, taking into consideration the duration (or expected duration) of the impairment, the extent to which it actually limits a major life activity, and the assessment of a qualified professional. Physical and mental disabilities: a student with a physical disability must provide verification certified by a licensed physician, audiologist, speech pathologist, physical therapist, rehabilitation counselor, or other professional healthcare provider who is qualified in the diagnosis of the disability. The verification must reflect the student’s present level of functioning of the major life activity affected by the impairment. The cost of obtaining the professional verification shall be incurred by the student. If the initial verification is incomplete or inadequate to determine the present extent of the disability and necessary accommodations, the University shall have the discretion to require a supplemental assessment of the disability. If the University requires an additional assessment for purposes of obtaining a second opinion, then the University shall bear any costs not covered by any third party payor. Learning disabilities: a student with a learning disability must provide professional testing and evaluation results which reflect the individual’s present level of processing information and present achievement level. Documentation verifying the learning disability must be prepared by a professional qualified to diagnose a learning disability including, but not limited to, a licensed physician or learning disability specialist. This documentation should be no more than three years old. The DSO director has the responsibility to review each student’s documentation conscientiously and diligently in carefully considering the student’s request for accommodation. When the director has completed the evaluation and has determined that the student’s disability has a current functional impact on his or her academic work or ability to participate in Pepperdine’s programs, the director will work with the student to determine what accommodations are reasonable and appropriate. The DSO staff will also assist the student with the necessary paperwork required to request services. In situations where a faculty member objects to providing a University-approved accommodation, such accommodation will be provided to the student until a final decision has been reached by the DSO director on the faculty member’s objection. The DSO will consider the student’s disability-related needs, the nature of the approved accommodation, the basis for the faculty member’s objection, whether the accommodation would alter or waive essential academic requirements or constitute a fundamental alteration, and whether an effective alternative accommodation is available. No faculty member may unilaterally usurp the duties and obligations of the DSO including, but not limited to, making determinations as to whether a student has a disability, the extent of a student’s disability or the appropriateness of an approved accommodation. In the event that there is a disagreement between the student and the University regarding the outcome of the DSO director’s evaluation (including whether the student is a qualified individual with a disability, the adequacy of the student’s documentation regarding the student’s disability and decisions regarding the student’s academic adjustment or auxiliary aid), the student can file an appeal through the University’s Nonacademic Student Grievance Procedure (as found in each school’s academic catalog). Students and applicants who desire information beyond what is written in University publications may contact the Disability Services Office. If after contacting this office there remains a desire for additional information, students may contact the University’s Equal Opportunity Officer. This policy was adopted from Title III of the Americans with Disabilities Act, 42 U.S.C.A. § 12181 et seq. (1993), 28 C.F.R. § 36.101 et seq. The National Joint Committee on Learning Disabilities, Journal of Learning Disabilities, Volume 22, Number 2, February 1987, Pages 109-112; and The University of Houston Law Center Handbook For Students And Applicants With Disabilities, August, 1993. Pepperdine University respects that the privacy of your Personal Health Information (“PHI”) is important to you. Therefore, effective August 1, 2014, we have updated our Notice of Privacy Practices (“NPP”). This NPP describes the collection, maintenance, and use of your PHI in the course of our business operations. To view the updated NPP please visit the website. You may also obtain a copy by contacting the Pepperdine University Department where you last received care. Students possessing valid Pepperdine student ID cards may use the fully equipped athletic facilities at the Malibu campus during specified times. These facilities include tennis courts, pool, track and field, and the gym, which contains an exercise room. The Pepperdine University chapter of Beta Gamma Sigma encourages and honors academic achievement in the study of business and personal and professional excellence in the practice of business. Membership in Beta Gamma Sigma, the only business honor society recognized by AACSB International- The Association to Advance Collegiate Schools of Business, is the highest recognition a business student can receive in an undergraduate or master’s business program accredited by AACSB. Students achieving high academic excellence will be invited to join. The first national honor society in business, founded in 1913, Beta Gamma Sigma currently has more than 650,000 members worldwide. Information on membership is available through the Program Office. Students enrolled in the Graziadio School of Business and Management may purchase all class textbooks and materials from the bookstores located at the West Los Angeles Graduate Campus or the Drescher Graduate Campus for students attending classes in Malibu. The West Los Angeles Graduate Campus bookstore provides a variety of services to ensure optimum convenience for students. Textbook orders can be placed online at www.efollett.com. The bookstores also offer a selection of office supplies, reference books, and other convenience items. The Career Management Center is designed to help students in advancing their careers. It provides students with the skills and resources necessary to conduct job searches and effectively manage their careers. Services include access to online career videos, resource libraries, databases, career assessment, job postings, and career coaching. Students are encouraged to participate in networking events and professional development webinars that are offered throughout the year. To utilize resources students must register on the Career Portal. At the Graziadio School, e-learning and online resources are used to complement the rich, interactive, and personal classroom environment. Communication and media technologies enable students to collaborate with each other, their instructors, and industry leaders in a learning community uninhibited by distance or time just as occurs in real-world business communities. Using the Courses learning management system, students and faculty share and track electronic documents, engage in synchronous and asynchronous online discussions and collaborations, take practice exams and quizzes, post and view grades, and more. Using industry standard and emerging Web 2.0 desktop and application sharing with voice and video over IP (VOIP) technologies, students, faculty, and invited guests use their laptops to collaborate in “virtual teams” from class, home, and across the globe. Using classroom-based and high-quality video conferencing systems, students and faculty interactively participate in the same class session while being physically located at different campuses. Faculty also incorporate additional interactive and multimedia case studies, tutorials, and other learning modules from Harvard Business School and other top-tier developers of business content. With an unaltered goal to enhance, engage, and provide real-world experience, e-learning at the Graziadio School increasingly provides students with new learning and networking opportunities beyond the benefits reaped from traditional classroom settings. The Graziadio School of Business and Management Financial Aid Office is located at the West Los Angeles Graduate Campus. The Financial Aid Office provides Graziadio School students with information on available financial aid and the appropriate type of aid for individual circumstances. The Financial Aid Office assists students with the required paperwork and processes financial aid applications for scholarships and grants as well as federal and private credit-based loans. Students are encouraged to contact the Financial Aid Office or request a personal appointment whenever they have financial assistance questions. Financial aid information also is available online. All Graziadio students registered on the Malibu campus, including those studying abroad, are required to furnish verification of health insurance. Policies must be underwritten by a U.S. company and be comparable to the University’s policy, otherwise, students must enroll in the Student Health Insurance Plan (SHIP). It is highly recommended that insurance coverage includes local care close to Malibu. Students must annually submit an electronic waiver as proof of insurance upon entrance and each fall semester thereafter. The University requires health coverage for the purpose of limiting undue financial and academic stress related to illnesses during the academic year. A health insurance policy will assist in meeting not only the costs of common illnesses treated at the Student Health Center or at a private physician’s office, but also the financial burden of illness and accidents involving more extensive care. University health insurance is intended to provide the lowest premium for the student while providing the greatest benefit; however, a student may purchase any policy that has comparable coverage to the University policy. For more information and to view the insurance plan offered, please visit the website or call Wells Fargo Insurance Services at 800.853.5899. The Information Technology department provides a full range of technology services for Pepperdine University students. Each of the University’s campuses features modern classrooms with digital projection and wireless Internet access as well as general-use computer labs that provide wireless Internet connectivity, fee-based black-and-white and color printing, and photocopying. Information Technology staff members are available to provide technology assistance. Students may visit the website and select “Student” for self-help guides and support information. In addition, students may contact the Pepperdine IT Service Desk for technology support at 310.506.HELP (4357) or 866.767.8623 (toll free in the USA), 24 hours a day, 365 days a year. Students are required to abide by the ”Computer and Network Responsible Usage Policy .” Details are included in the “Legal Notices ” section of this catalog and are published on the Information Technology website. Information about all Information Technology services is available online. The Pepperdine University libraries provide a global gateway to knowledge for GSBM graduate students and faculty though well-appointed facilities located at each of Pepperdine’s graduate campuses and online. These locations include the Drescher Campus Graduate Library in Malibu, the West Los Angeles Campus Graduate Library, the Irvine Campus Graduate Library, and the newly renovated Encino Graduate Campus Library. Highly skilled research librarians are available at each of the graduate campus library locations and online to assist with students’ information needs. Pepperdine’s graduate campus libraries provide students with access to a rich array of scholarly materials, including more than 180 electronic databases, 90 percent of which are full text, extensive collections of print monographs, government documents, e-books, and e-journals. All circulating items in the Pepperdine libraries are available to students, faculty, and alumni and may be requested through the libraries’ website for pickup at Malibu or at graduate campuses. To access these resources and for more information, please visit the Pepperdine University Libraries website. The Office of International Student Services (OISS) is located on the Malibu campus. The OISS issues the Form I-20, Certificate of Eligibility for Nonimmigrant (F-1) Student Status, to international students who have been granted admission to Pepperdine University. International students registering at Pepperdine University for the first time must report to the OISS in Malibu and consult with the designated school official to ensure compliance with government regulations. The OISS provides information seminars, publications, and counseling on immigration, employment authorization, tax requirements, and all other matters related to the students’ nonimmigrant status in the United States. Health and accident insurance coverage is mandatory for international students. For more information, call the OISS at (310) 506-4246. The Pepperdine University Psychological and Educational Clinic is located at the West Los Angeles Graduate Campus. The clinic provides comprehensive psychological services to the general community as well as to Pepperdine University students and staff. Psychological services offered include psychological assessment and individual, couple, and family therapy. Services are provided by clinical psychology doctoral students, under the supervision of licensed psychologists, or other doctoral-level licensed therapists. Fees for services are based upon a sliding scale determined by yearly income and number of dependents. A special discounted fee of $15 per therapy session is available for Pepperdine students. All services are confidential, with extra measures taken to protect the privacy of Pepperdine students and staff members. For further information about clinic services or to make an initial appointment, call (310) 568-5752. The Pepperdine Student Health Center is committed to providing high-quality, multi-specialty, and low-cost healthcare to the diverse community of students. The primary focus is to keep students healthy by providing preventive care, treating illness and injury in a timely manner, and making appropriate referrals when necessary. Health education is emphasized, with an aim to provide care in a confidential, respectful, and safe environment. Honest, open communication is encouraged. The Health Center staff is dedicated to perpetuating the wellness of the whole being-body, mind, and spirit. The Health Center functions similar to a family practice office and provides a wide variety of services which include care for illness and injury, women’s and men’s health, dermatology, sports medicine, immunizations, labs, in-house testing, nutrition, and administering medications. In addition, the Health Center offers specialized clinics such as flu vaccination, travel medicine, allergy, and STI/HIV testing. All information reported at the Health Center is confidential and is protected by the Health Insurance Portability and Accountability Act (HIPAA), which protects the disclosure of health information. Students seeking medical care at the Health Center will be charged an initial fee, and follow-up visits are charged based on the complexity of the services provided. All charges are kept at a minimal cost, and insurance companies will often reimburse for costs incurred. Ancillary services such as medications, injections, lab work, and minor surgical and/or elective procedures carry additional charges. Because students are required to carry health insurance, all Health Center fees can be charged to a student’s account and a super bill can be provided to submit to the insurance company for reimbursement. Students wishing to see an off-campus medical provider, such as physician, dentist, or optometrist, are encouraged to contact the Health Center for referral information. All registered students have access to the off-site PEP-RN Nurse Advice Line 24 hours a day, 7 days a week by dialing (800) 413-0848. The nurse line is staffed with registered nurses who can help students determine if they need to seek medical care and learn ways to stay healthy. The Health Center sees patients by appointment. Walk-ins are welcome, with priority given to scheduled appointments, except in an emergency. The center is located on the Malibu campus at the northwest corner of Rho parking lot at Towers Road. Hours of operation are Monday through Friday, 8 a.m. to 5 p.m. Appointments can be made by calling (310) 506-4316, option 3. Visit the Health Center website for more information. The University has a full-service travel agency located at the Malibu campus. Any registered student may use the service and make travel arrangements in person or by telephone. The travel agency may be reached at (310) 506-4562, or e-mail corniche@pepperdine.edufor further information.